Christmas is over, the New Year has dawned, and it’s time for cycling fans and pro cyclists alike to switch their attention to the first significant race of 2015: the Santos Tour Down Under. There’s no other race like it on the calendar: the route is, if we are honest, relatively tame, but that does not necessarily make for a straightforward event, or one lacking in surprises or interest. 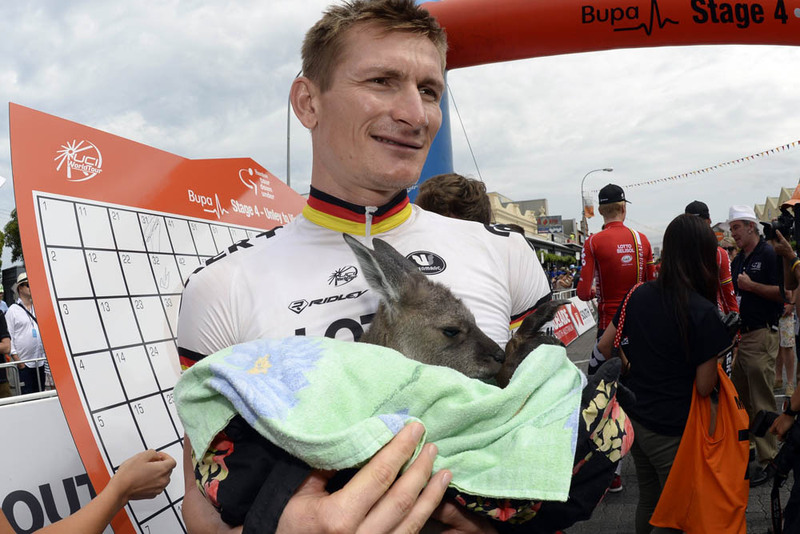 Here are eight things to watch out for during the 2015 Tour Down Under. South Australia’s hot and dry summer turns the region’s countryside into a tinderbox. Bush fires are a regular fixture around Adelaide, and this year is no different, with a big fire raging in the Adelaide Hills in the weeks leading up to the race. In past years, the race route has been threatened due to fires and the resultant smoke but so far the organisers have given this year’s stages the all clear after consulting with the fire service. That won’t stop the heat, though, with temperatures regularly nudging 40 degrees it will come as a shock to the system to European pros used to cold and windy Belgium. Expect to see domestiques stuffing plenty of bottles up their jerseys and shuttling backwards and forwards from the team cars. King Cadel is doing one last celebratory month of racing in Australia before he retires from the sport after an illustrious career. You can guarantee that the 2011 Tour de France champion‘s final WorldTour appearance will draw the crowds. Other riders will have to be wary, though, as Evans has said he is not just riding around for the fun of it. Last year’s runner up will be wanting to go out with a bang to end on a high, and any other career-end cliché you can muster. Stage five of the 2015 Tour Down Under is set to be where the overall classification is decided. Although Old Willunga Hill is no match for the cols of the Alps, it’s still a nasty test – made worse by the riders having to tackle it twice at the end of the stage. Richie Porte (Sky) took the stage win last year, as Simon Gerrans (Orica-GreenEdge) sealed the overall victory. Expect an early-season show. With triple Tour Down Under winner Simon Gerrans out of the race with a mountain biking injury, Orica-GreenEdge are without its reliable leader. The Aussie WorldTour outfit always want to put on a good show for the home crowd, but this year’s team looks slightly lacking – even more so because they’ve elected to pass over the selection of Michael Matthews and in-form young sprinter Caleb Ewan. If we were going to be mischievous, we’d say that the Australian Pro Continental Drapac team will give them a run for their money this year. You cannot have a Tour Down Under without a photo opportunity involving kangaroos, koalas and snakes, as awkwardly smiling pro riders totter around in their cleats hugging Antipodean indigenous wildlife in front of the media. It’s the animals we feel sorry for. Also watch out for inflatable kangaroos at the roadside adorned with patriotic headgear and sunglasses. It’s down to Team Sky to field the race’s only British riders in 2015: with Geraint Thomas, Ian Stannard, Peter Kennaugh and Luke Rowe all taking part. Thomas in particular has had a good time in the TdU in the past two years, winning a stage and finishing third in 2013 and finishing eighth last year. Tasmanian Richie Porte is the nominated leader for Sky, but that should not stop Thomas sticking with him to scoop up another top 10 or be a solid plan B should Porte fall off or fade away. You can also guarantee that the Brits will get sunburn on their pasty limbs. The first big race of the season is always a nerve-jangler, and nervous riders make for a nervous peloton. Expect to see at least one silly spill which will spell the end of some poor rider’s classics ambitions. The TdU offers teams the chance to show off their brand new bikes, clothing and accessories. It has also previously been the place to spot prototype gear on pro’s bikes, offering a first glimpse of innovations that may one day be commonplace.